This 8' ft Standing Santa Claus Waving Hello Light Up Christmas Inflatable By Comin™ makes an eye-catching outdoor lawn decoration. It's simply the perfect combination between simplicity and bold, with the two complementing each other perfectly. Added on is the wear-proof design, which improves the ability to last. 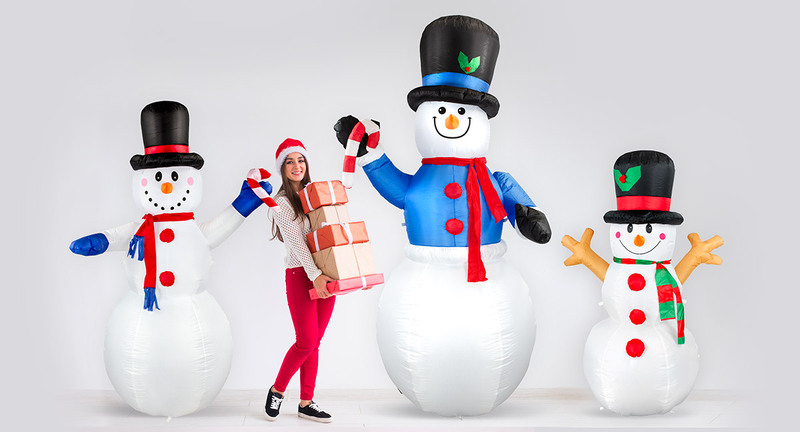 This high quality Christmas air blown inflatable decoration is a classic model. Standing Santa Claus makes a great addition to the front lawn to greet people passing by. It is made of wear-resistant and water-proof polyester material that makes it ideal for both outdoor and indoor usage. It is easy to set up, as it inflates within a few minutes. And on the same note, it is similarly easy to store and folds nicely for compact storage. It is sure to bring the holiday cheer to your home at a competitive price.